Unparalleled in flavor, Acai, the fruit of the acai tree, is a typically Brazilian fruit that grows in the Amazon rainforest, in addition of being highly nutritious. Acai is a purple fruit that does very well for health ,and for this reason, it is possible to understand the benefits of Acai and it’s popularization in the fitness world. Until the 1980s, Acai was known and consumed only in the northern region of Brazil where it is part of the food and culture of the local population. After the 2000s, as an excellent source of energy the fruit was discovered by athletes and become popular in the gyms around the world being associated with a healthy diet and powerful source of energy. The fruit is usually consumed in a sweet form in juices, in a bowl, mixed with cereals ,honey, other fruits and even ice cream. Regardless of the form of consumption, the Acai brings lots of benefits to the body. Do you know that idea that a glass of red wine a day is good for the heart? In Acai, this benefit is 33 times greater ,due to the large amount of anthocyanin, a potent natural colorant that gives the purple color to grapes and acai. Rich in fibers, proteins, vitamins and minerals, is also ideal for those who want to increase muscle mass and quickly replenish lost glucose during workouts, making a great post- workout recovery. With more antioxidant properties than grapes,the Acai still helps fight bad cholesterol, improving blood circulation, fighting heart problems and premature aging. 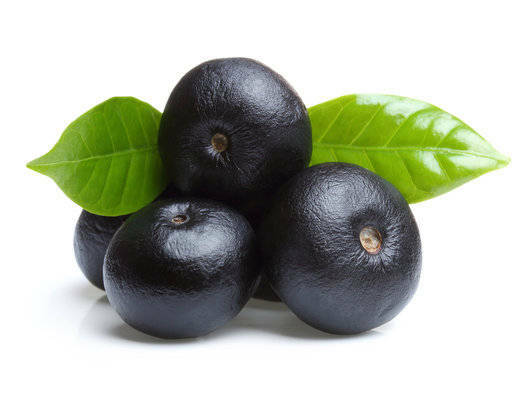 The fruit also helps preventing and fighting cancer by having oleic acid ,which slows the development of tumors and contributes to the destruction of cancer cells. The fruit also has high amounts of iron which prevents and combats anemia. Like all fruit, Acai is also an excellent source of fiber, which brings the feeling of satiety. So, besides being delicious, the Acai berry helps in diets too. The Acai is healthy and yummy !